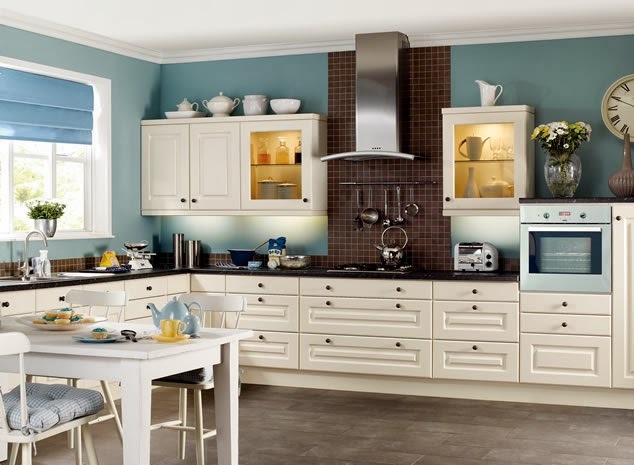 Home »Unlabelled » Colors for Kitchen. 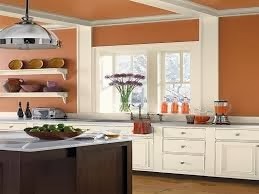 Colors for kitchen.. although kitchen walls don't have much space to be painted .. as most of the area is covered and taken by the wall cabinets, base cabinets, corner cabinets, furniture etc. 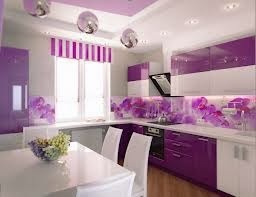 but still.. it gives us lots of scope to fill in the magic of colors.. through walls, furniture , laminates etc. 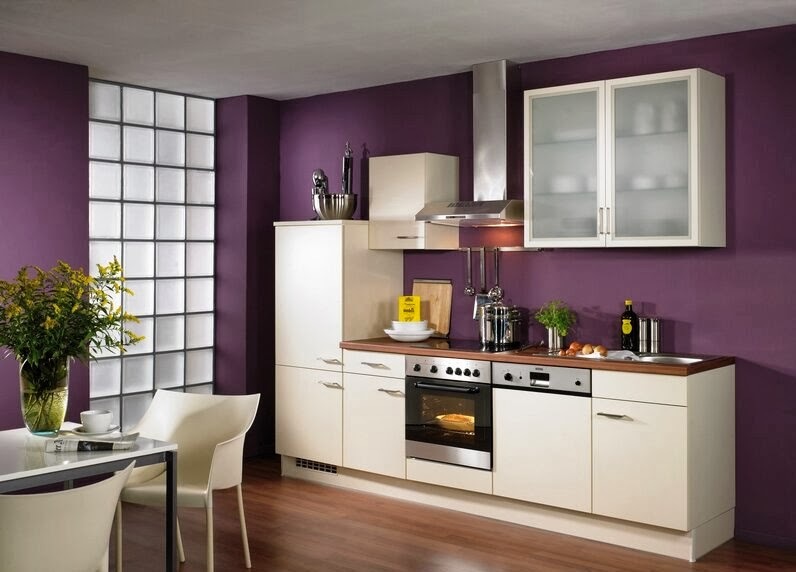 As kitchen is already a place full of heat and warmth.. better to give it a bit cool texture and feel .. with the help of cool, light, pleasant and soft colors. 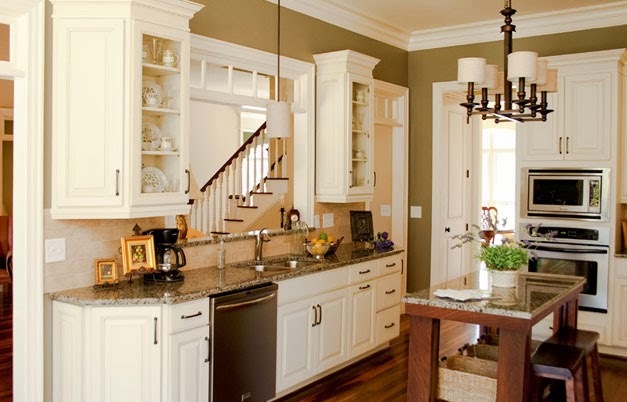 Design the furniture, cabinets etc. 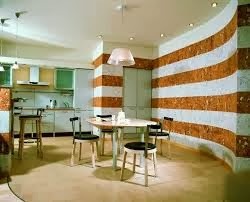 with cool color laminates .. and let the walls get dressed in light and sober combination to present the perfect blend of cool and calm space. 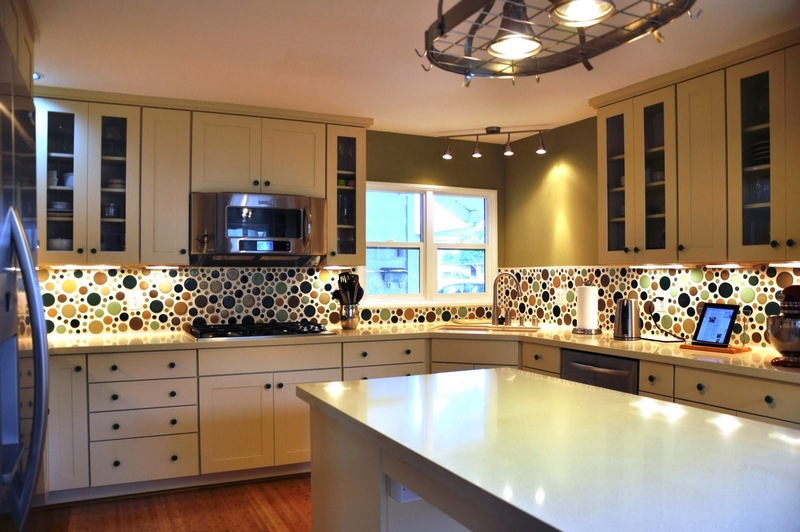 Do not put in any kind of heavy texture paints or heavy texture laminates in the kitchen design. 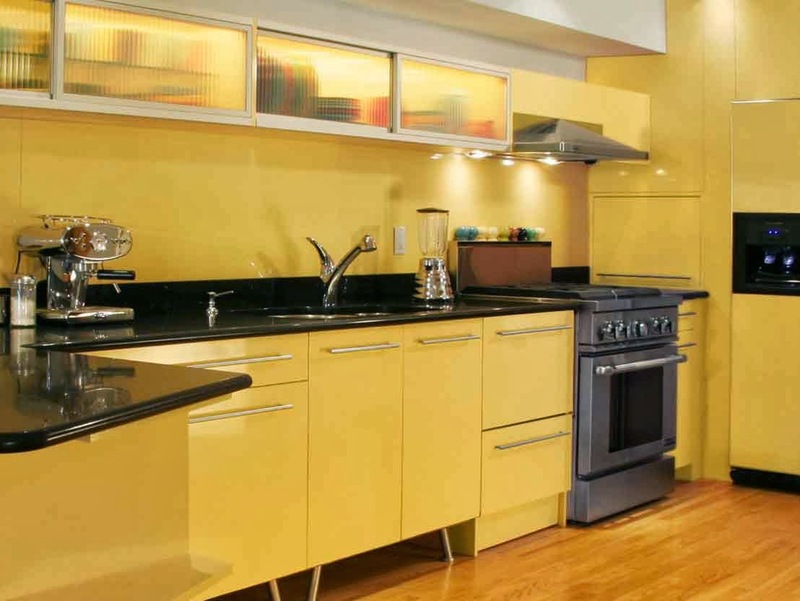 Avoid and restrict any such textured paint or laminates .. they create a messy and tangled looks to the space which is already so full of work, heat and warmth. 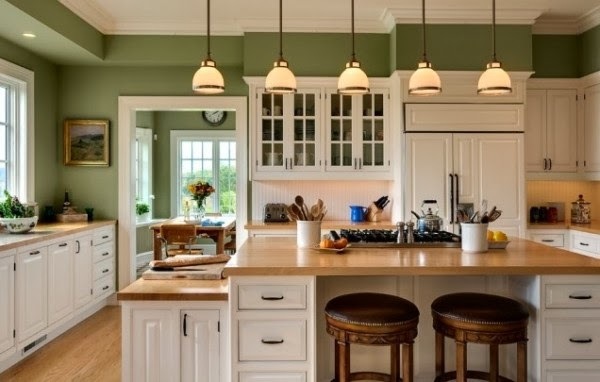 My personal favorite for kitchen walls .. is white, lime yellow, light orange, light blue, light pink , light green, light burnt yellow and cream colors. 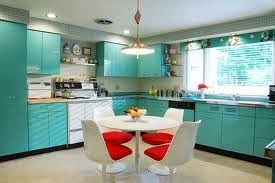 For the best combinations furniture with such light colors should be in bit bright shade.. not in warm shade. 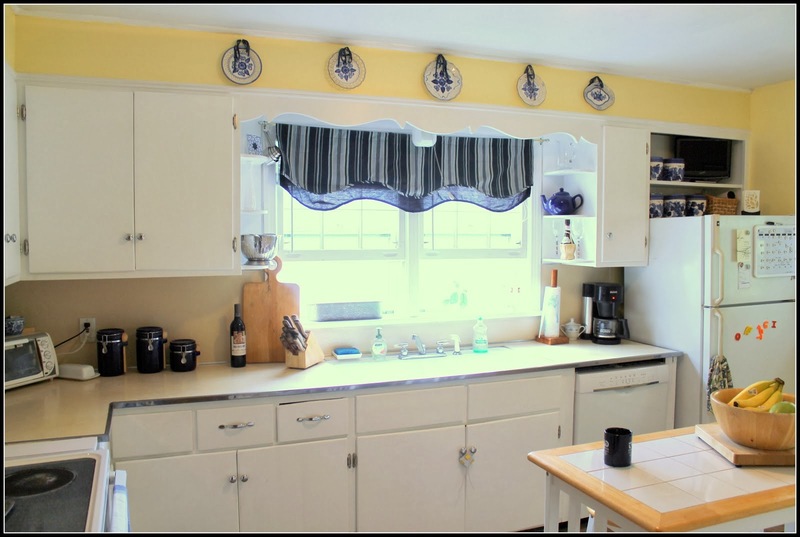 But better to keep it simple. 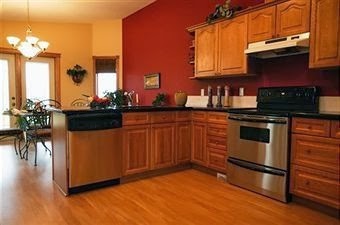 To get the best of color effects ..its really important for an effective and well done illumination in the kitchen space..to avoid accidents, to get the desired looks, to keep each and every corner of the kitchen well lit up.. to get a cute sweet space to prepare best of meals for the family and friends. 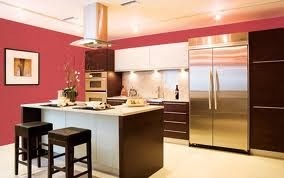 So, kitchen... a space full of lots of scope to design and color. Its a sweet challenge ..to be taken in hands.